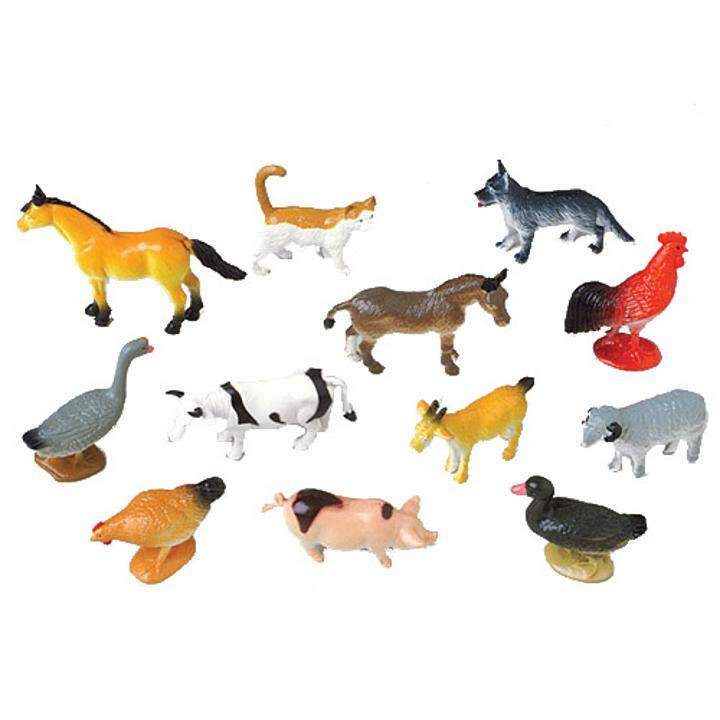 Celebrate a child's birthday with a fun farm animal theme. Children can use these toy figures to make a pretend farm scene and parents can use these as unique cake decorations. L: 6.0 in. W: 1.1 in. H: 6.6 in.